The summer has just started but already the U.S. UK and Europe are being ravaged by wildfires. 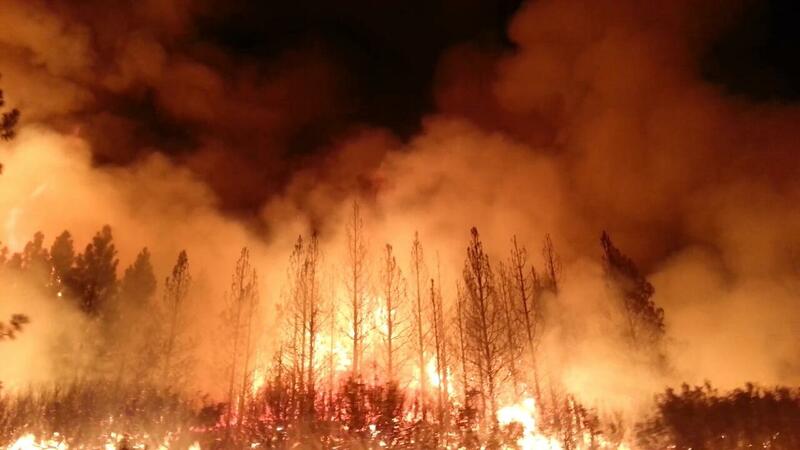 A fire in Lake County, California, reached almost 14,000 acres by Saturday morning. The Pawnee Fire is only about 56 per cent contained. A Red Flag warning remained in effect for the area through the weekend due to heightened fire weather. Meanwhile, more than 2,000 firefighters aided by water-dropping helicopters battled a wind-driven wildfire raging out of control in Northern California on Monday, threatening homes and other structures as thick black smoke drifted across the San Francisco Bay Area. In Europe, the situation is no better, in Norway which is in the grip of a heat-wave, train cancellations due to forest fire have caused major transport delays as Norwegian rail operator NSB struggles to find enough replacement buses. The fire, which broke out on the line between Sandermosen in Oslo and Hakadal on Sunday, is now under control, but services were still suspended on Monday. Wild-fires are not considered a threat in the UK due to their Marine West Coast climate, however, a two-week long heatwave and tinder-dry winds have caused destruction among large swathes of the UK. Fire crews are returning for a seventh day as a 'rapidly developing, aggressive fire' ravages moorland across Lancashire. Emergency services have been desperately battling wildfires on Winter Hill, Horwich and Scout Road near Bolton for days, but declared a 'major incident' yesterday afternoon as they failed to keep them from spreading. Two large-scale moorland fires merged on Saturday due to increasing wind speed and a major incident was declared as crews tackled the blaze Lancashire Fire and Rescue Service said 10 crews remained on the scene overnight, but the number was increased to 22 from 4.30am this morning. Firebreak trenches are also being dug to try to protect local buildings.